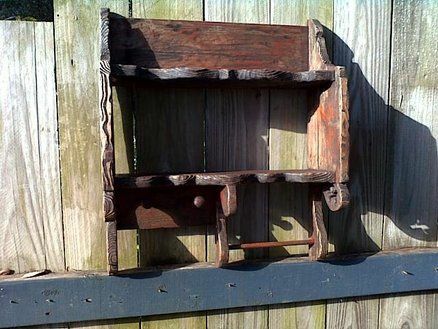 One of a kind rustic shelf. New wood, hand carved. Natural wood finish.